The tank terminals in South America are partly owned by related parties, and has its headquarters in Sao Paulo, Brazil. Where practical, shipping and storage services are marketed from shared offices, facilitating logistical solutions that are as comprehensive as required by our customers. The first terminal became operational in Buenos Aires in 1969. Today this South American terminal network consists of 13 terminals spread along the coasts and inland of Brazil, Argentina, Chile and Peru, with a strong market position for storage of chemicals and clean petroleum products in the region. The extensive terminal activities in South America provide an excellent complement to Odfjell’s frequent and traditionally strong shipping activities within the region. Eight of the terminals are located in Brazil; in Sao Luis (x2), Teresina, Palmas, Santos, Ladario, Rio Grande and Triunfo. Argentina is home to two tank terminals, one in Buenos Aires and one in Campana, about 80 km upriver from Buenos Aires. The Chilean tank terminals are located in San Antonio and Mejillones, and the one in Peru is located in the Port of Callao. 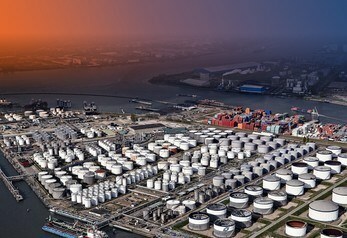 In Rio Grande, Odfjell also operates and manages a terminal for a major petrochemical company. Several expansions and projects are planned with construction already under way in Santos (Alemoa) for a new terminal consisting of 17 tanks and totaling 51,910 cbm of storage capacity. Commissioning is planned for first half of 2019. 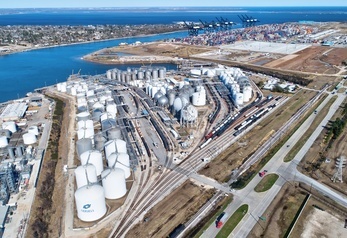 We are pleased to announce that Odfjell Terminals BV (OTBV) is converted to a 100% Odfjell SE controlled holding company.